Since Leah was small, you could find her in the garden planting various fruits, roots, or flowers. Childhood interests bloomed by working in the field of horticulture, herbal medicine, and plant health. She also learned how to use a taxonomic key and a microscope. As a girl, Leah would help her father on the farm & orchard, but also in the office. He was an inventor who crafted energy efficient stoves and a silicone wrapped magnet that extended engine and oil filter life. Leah worked along her fathers side in manufacturing, administration, and think tanking. She has worked in floral design, landscaping, retail sales, and Farm & Business management. Leah worked in greenhouse operations, field work, propagation, and irrigation installation. Leah feels her life calling is to help create food stability in sustainable communities. John has been involved with horticulture and agriculture for over 20 years. He started with landscaping and working for small farms in Washington state. This led John to studying horticulture at Lake Washington Institute of Technology and then working in retail garden centers where he managed and planned many gardens, greenhouses, and landscapes for the community. Their children Johnny & Leilani, have always joined them in their ventures, from care taking of farm friends (chickens, goats, rabbits) and plants by watering flower seedlings and harvesting the vegetables with love and gratitude. As a family, the Yorks have worked many small farms and greenhouses, and had their own small market garden. They are interested in soil preservation, and saving heritage seeds. Together they are looking to support the community by production of local, healthy foods and teaching participants in the Seva Sadhana program and community about their connection to health and nutrition through conscious connection to the land and growing their own food. Leah has planned a rotating organic crop cycle that should provide fresh fruit and vegetables throughout all seasons, utilizing vegetarian based composting methods to create vital healthy living soil and plants. 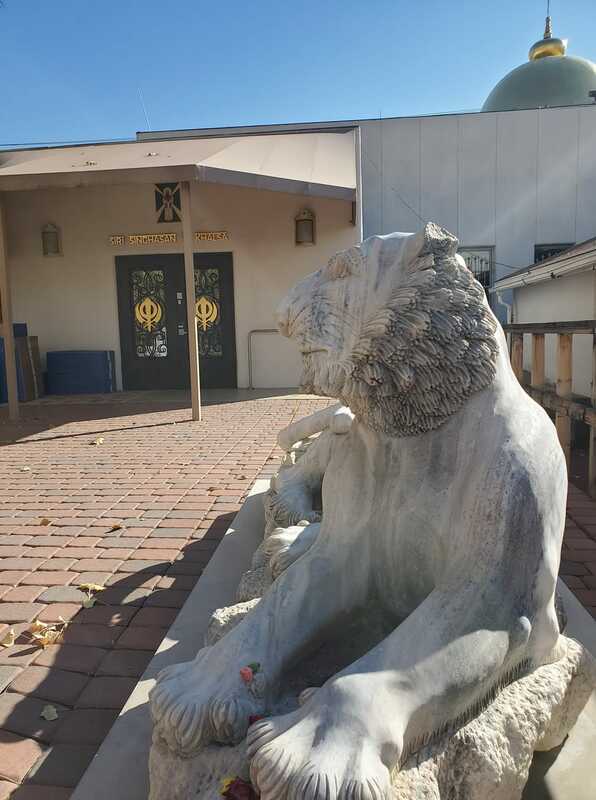 Our goal is to eventually provide all of the fruits and vegetables for Langar and extra food for the whole community - as well as a diverse flower assortment which can be used for Gurdwara.